“People are wherever water is. We follow both water and people as subjects and models”. Water, the source of life and a precious, contended resource, becomes the underlying theme of an artistic project entitled “Waiting for Water”, with Palestinian artist Walid Maw’ed and the Cittadellarte - Pistoletto Foundation as co-authors. The project that starts out from conflicts linked with water, especially the one between Israelis and Palestinians, and aims to increase public awareness of this issue. Spreading the message about the problems of water distribution and control, “Waiting for Water” addresses the global conscience and daily behaviour of people. 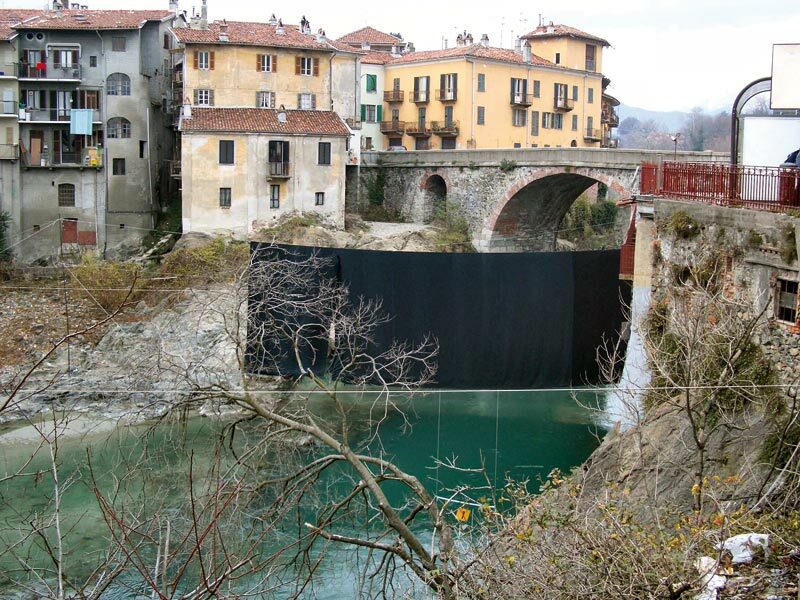 The first actions the artist took involved the creation of a wall of black cloth (196 square meters of fabric generously provided by the Biella based textile company Guabello Spa) suspended over the rivers Cervo (Biella) and Dora Baltea (Ivrea) and later also in Turin and other Italian cities. 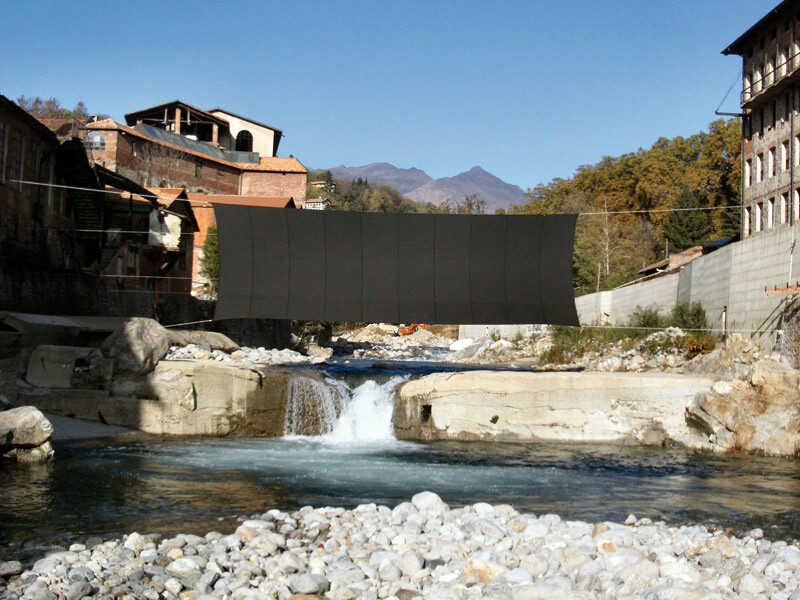 The black wall visually stops the flow of water by blocking the view the people of those towns are used to seeing. 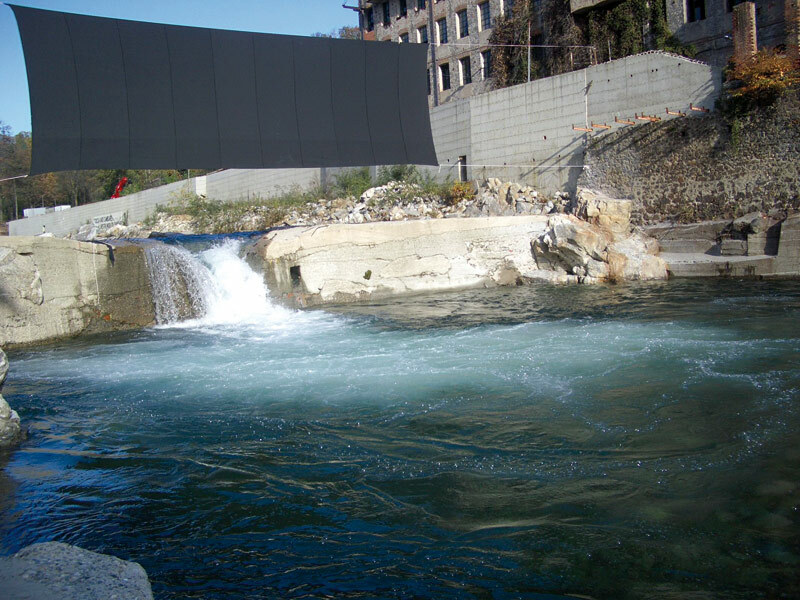 The colour black reflects power and, in the natural context of the river bed, represents a truly artificial element that forces the viewer to consider water and its natural and assumed presence. With one of the first pieces of cloth used for the installations, the artist conceived and realised a collection of women’s clothing, the “Water Collection”, created as a vehicle for the project’s message. The black cloth (cotton/wool/cashmere) used for the artistic installation on the river is transformed into the limited edition women’s collection, leaving a free interpretation of the clothing to the person wearing it. Knotted and tucked around the waist, the items can be of virtually any length to adapt to the figure and transformed into harmonious and personal sculptures dedicated to enhancing the female form. The collection, minimal in its lines but at the same time rich in original ideas, is inspired by research on water carriers’ functional clothes and based on the concept of transformation. The decisive lines of the dresses are enriched with vaporous puffs and gathers that close into each other without accessories like zips or buttons, and leaving parts of the body exposed. Through these fastenings the tension of the black cloth stretched over the river transfers to the items of the collection, which has been also enriched with accessories and men’s T-shirts. The collection was presented in different concept stores and at the 51th Venice Biennial, in the context of the exhibition “The Inner Island: The Art of Survival”. Watercollection.net today is a network of people from different professions working on the concept of water with an unconventional approach. Guided by the concept of free and responsible art, their intention is to reach the largest possible number of men and women to increase awareness of the need for attention and respect in the use of this natural resource. The Cittadellarte-Pistoletto Foundation is a nonprofit organisation founded 1998 in Biella, Italy, as the physical embodiment of the Progetto Arte Manifesto (1994), with which the artist Michelangelo Pistoletto proposed a new role for the artist as one who creates an interaction between all the diverse spheres of human activity that form the society. “Between 1967 and 1982 the water of the West Bank and the Gaza strip was controlled by the army. It is now under the control of the Israeli water company Mekorot, and integrated into the Israeli mains water network. 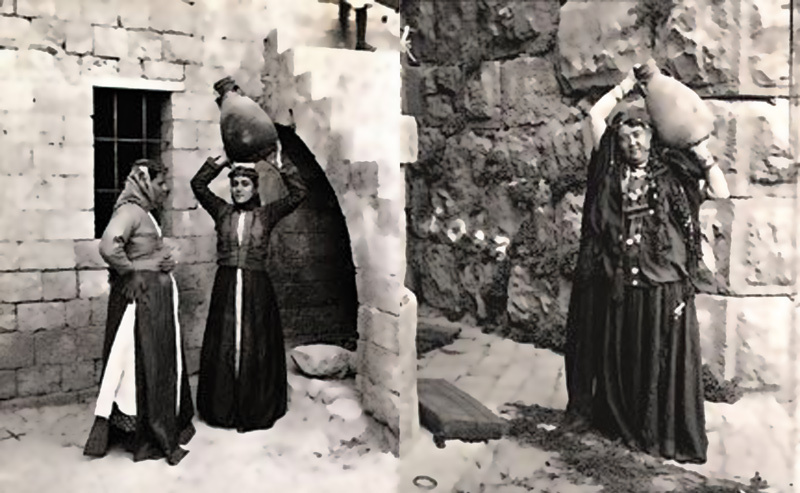 The West Bank provides around 25 to 40 percent of all Israel’s water. Israel consumes 85% of this supply, while Palestine uses just 18-20 percent. Palestinian use of the water is controlled and limited by the Israeli government. According to a military ruling from 1967, nobody has the right to establish a “water company” (to extract subterranean or surface water or build treatment plant) without a special and official permit. It is also possible to reject requests for these permits, or to revoke or amend an existing licenses without either explanation or reason. 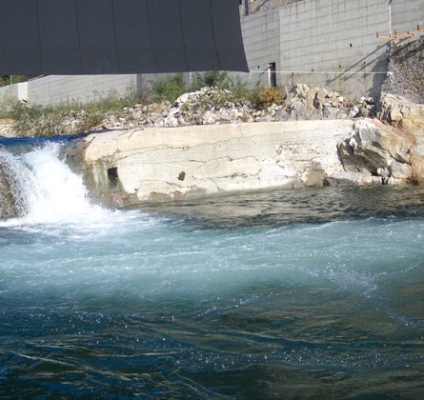 The authorities responsible can confiscate or commandeer any water resources without permission, even if the owner has not been found guilty of transgression. In 1999, the Palestinians managed to obtain the right to drill just seven wells. What’s more, these wells couldn’t be any deeper than 140 meters, whereas the Israeli’s wells reach down to 800 meters…”. Vandana Shiva, from the book “Water Wars” (2003). Assicurati che lei sia bagnata, e se non lo è usa della saliva o del http://www.comune.montebellodibertona.pe.it/phocadownload/cache/comprare-cialis-contrassegno-it.html comprare cialis generico lubrificante per bagnarti l’indice, dopodiché penetrala con il dito e arriva al punto G.
Il est toutefois difficile de specifier les causes cialis ou levitra exactes des problemes. Recherche bibliographique (NLM outil PubMed) centree prix propecia france sur le mode d’action, l’efficacite et les effets indesirables des classes concernees completee par recherche sur les sites de l’HAS et de l’ANSM.